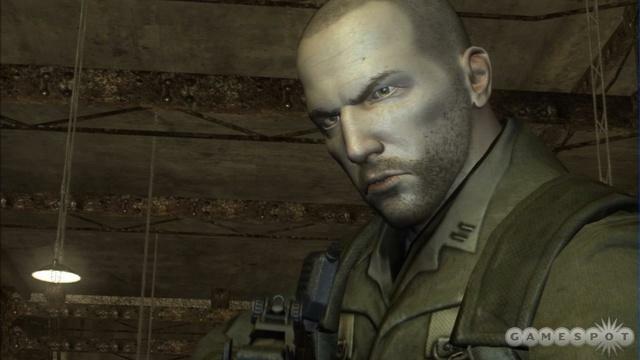 The PS3 hasn't had too many good games since launch, but there are those that shine. One for sure is Resistance: Fall of Man. Its a FPS (first person shooter) from Insomniac Games, the makers of Ratchet & Clank and Spyro. This game was a launch title for the Playstation 3. 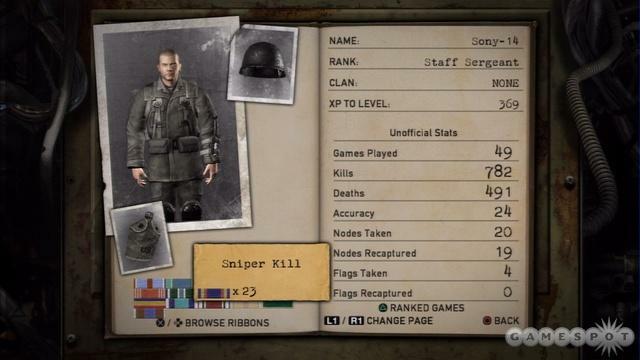 It was also the only "killer app" Sony has had for awhile. 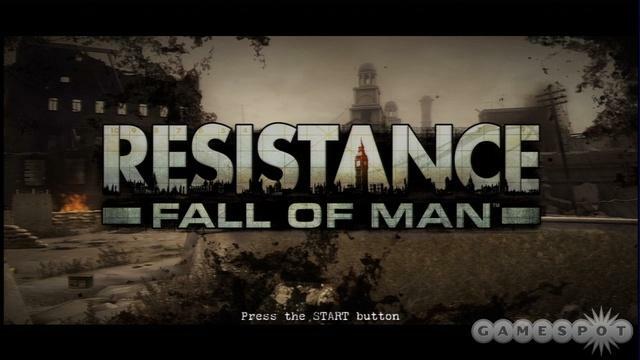 If you have a PS3, then Resistance: Fall of Man is a must have. Well we are playing with the big boys now. No Playstation 2 or Gamecube graphics here. This is next-gen. If you have a HDTV you will enjoy movie quality graphics. The cut scenes are gorgeous. Aren't all cut scenes in every game that way? The grass has detail in this game. The bloodstain from the Chimera (enemies in the game) is splashed everywhere. Its gory and GREAT. The environments are beautiful. There are a few landmarks from the UK that Sony maybe in trouble for...SSShhhhh. The destroyed buildings and rubble from them is just so authentic. The sound could use a better soundtrack. There are about 2-3 tunes that play repeatedly during the action. The action though, gets you past the music. You barely notice it. The gun sounds are excellent. 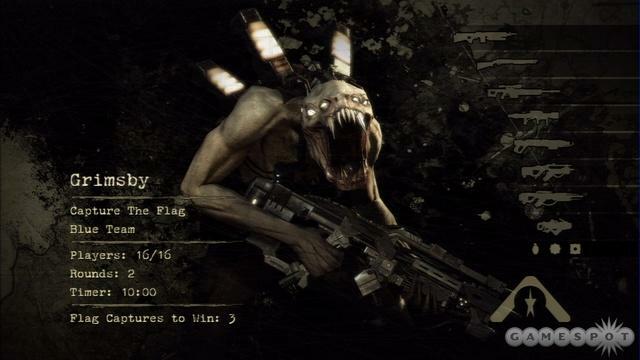 The sound of bullets ripping the flesh of the Chimera is so fulfilling. There are other soldiers that are on screen as well. They shout out commands and cries when hit. This is my second favorite part of this game. The story is very well written. It's about a "War of the Worlds" kind of story. Except the aliens are called Chimera. They come in very different shapes and forms. They are turning humans into Chimera to help aid their plans. There is a female narrator that fought alongside Nathan Hale. He's the guy you play, the hero. She tells portions of the story after each chapter or mission. In the beginning its just a "destroy the aliens" kind of game. The story really gets you excited and makes you want to finish the game. You need to play through it to see the ending. Its a very good ending. The absolute best part of this game is the weapons. They are so creative and different. I was amused by them alone. I'll just tell you about a few, since I don't want to spoil anything about this wonderful game. In Resistance: Fall of man there is a gun that shoots through walls. Its not my favorite but it is very fun. Especially when you are about to go upstairs and the room is full of chimera. The target dot glows red telling you that you have locked onto an enemy. My favorite gun isn't unique to this game...its the shotgun. It usually only takes 2 shots from it to take down elite Chimaran soldiers. All the weapons have a secondary function like a grenade launcher or a plasma shield. The grenades in the game are as creative as the guns. My favorite grenade is the fire grenade. It's like a molotov cocktail the way it spreads fire around the area. The only Sixaxis controls are when a Chimera gets too close and grabs you. You shake the controller left and right to shake the enemy off. Overall this is one of the few PS3 games actually worth getting. Resistance: Fall of Man doesn't disappoint. Rent it if you're not into FPS--but--If you're going to buy a PS3, this is a must have.